The teaser trailer for Spectre, the latest James Bond film, caused quite a stir when it came out as it depicted the more grounded Bond (as played by Daniel Craig) going up against a megalomaniacal cabal. But what if it wasn’t Craig as Bond facing down this more “realistic” version of villainy? 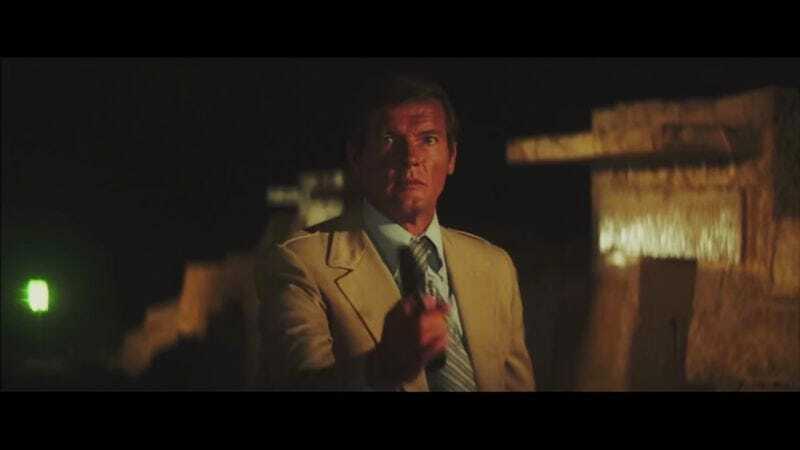 What if instead the quipping, swinging Roger Moore took his place against Christoph Waltz’s goons? Luckily viewers don’t have to wonder thanks to this impressive recut trailer. The new trailer, done by Mars VFX (aka Peter Phillips), inserts Moore into almost every shot of Bond in the trailer and allows him to trade barbs with the likes of Q, M, Moneypenny, and others in the newly rebooted universe. It’s a funny clash of styles that both makes the new Bond films a bit sillier and Roger Moore a bit more of a badass. Sadly there’s no opportunity to throw in the shot of Bond running across a bunch of a crocodiles or dressed up like a clown, but perhaps such beautiful sights aren’t meant for this flawed world.